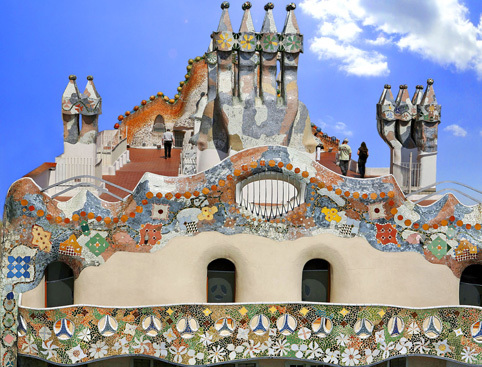 Skip the Lines to one of Gaudí’s most famous works! Includes a virtual reality video-guide to give you a realistic experience that’s filled with surprises! Skip the lines to Casa Batlló, one of Antoni Gaudí’s most famous architectural works and a must-see highlight when you’re visiting Barcelona! This incredible gothic building is located in the middle of Passeig de Gracia, one of Barcelona’s most important shopping and business areas and known as the most expensive street in Spain. Now a UNESCO World Heritage Site, it has become a legend of art, architecture and timeless design. These Casa Batllo tickets include an augmented and virtual reality video-guide to give you a dynamic, realistic experience that’s filled with surprises and fascinating facts! 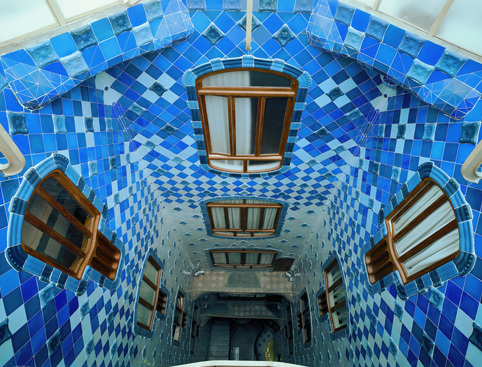 See how the Batlló family would have lived in this fabulous Gaudi house and explore the furniture that would have been used at that time. Discover the building’s hidden details that play with light, colour and shapes from nature, and the design’s evocation of the sea and of magic, which make Casa Batlló one of Gaudi’s most admired works. 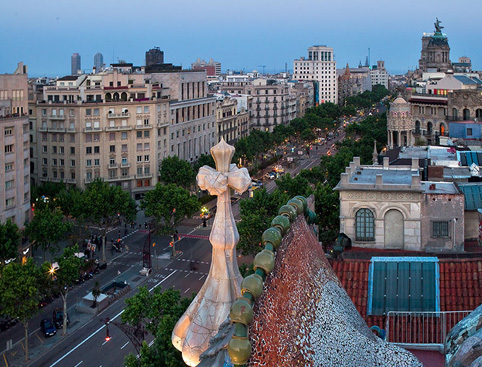 Other famous works of Gaudi include the Sagrada Familia Cathedral and the Parc Guell. 365 days a year from 9am - 9pm. (last entry is 8pm). Your video-guide is available in Catalan, Spanish, French, English, Italian, German, Chinese, Japanese, Russian and Portuguese. 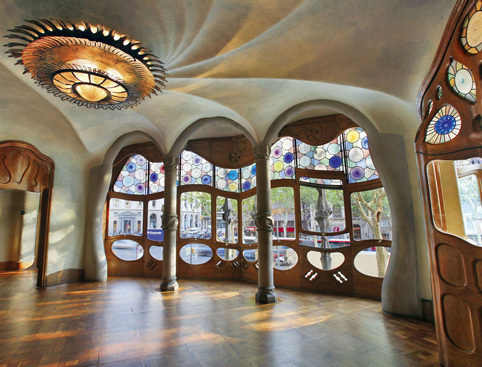 Casa Batllo is accessible for disabled visitors, with the exception of the roof. Visitors accessing Casa Batllo with e-tickets will get into the museum queuing in the line marked ‘Capacity Control’. This is unavoidable due to the extra security measures that have been introduced throughout Barcelona however it will be just a small queue and is separate to the main queue of visitors. Please note children under 7 can access free of charge, however they need to have their own e-ticket so please ensure you add them to your booking. Children 7+ are charge as adults. 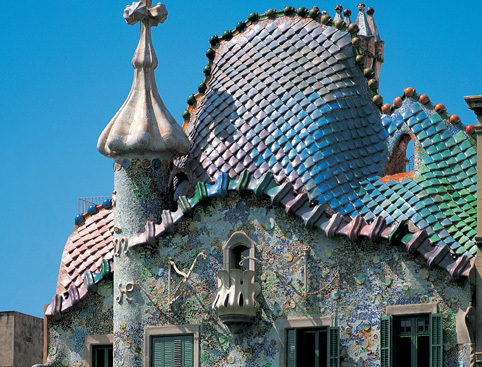 Casa Batllo Tickets - Fast Pass + Video Guide is rated 5.0 out of 5 by 2. Rated 5 out of 5 by JayFox from Architecture and history! Looks great on the outside and lots to find out on the inside about Gaudi. Be prepared for a lot of steps up to the roof! You also get a great little augmented reality phone and earphones for your tour. Spent about an hour here, pretty nice! Rated 5 out of 5 by ripclax from Amazing experience! A must visit when in Barcelona. Truly enjoyed the visit and the video guide is amazing. Will definitely recommend!